As I continue on with my food theme, lol! Another food that I love in soap is pumpkin. According to Brambleberry.com, "Pumpkin is full of antioxidants and vitamins A and C which can help keep your skin youthful and refreshed." 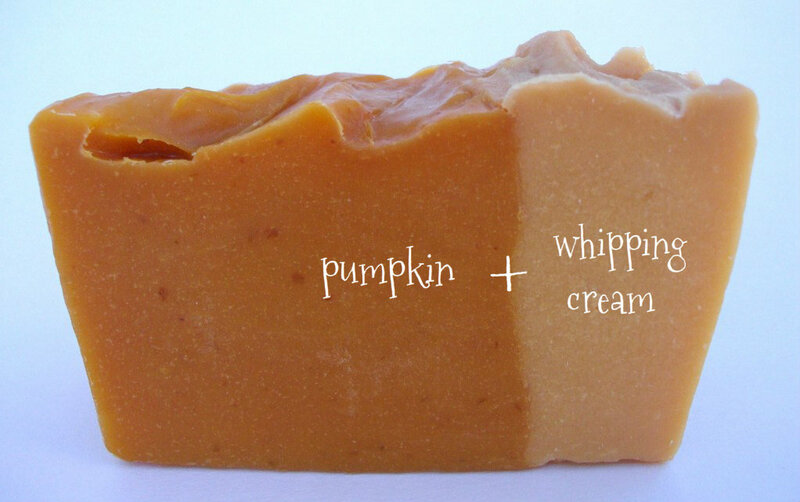 I also like to add whipping cream (the kind with 35% milk fat) to my pumpkin soaps, it always feels extra decadent with the added heavy cream. I couldn't decide how to do my pumpkin soap this weekend, so I decided to try it two different ways to see which I liked better! Pumpkin Soap #1: I decided to split this batch, and only add pumpkin puree to one side and whipping cream to the other side. It thickened up quite quickly and was not very conducive to a vertical layer, but I managed to slam it down in there enough :) It was fun to try, but very finicky and probably not worth the effort! Fragranced with Pumpkin Pie. Pumpkin Soap #2: For this soap, I mixed equal parts pumpkin puree and whipping cream together and subbed it for half of the water called for, I added this pumpkin cream mixture to the oils at the same time as the lye water. This was much less fussy to make and much easier to get into the mold. The pie slices on top are CP, and this one is fragranced with Gingersnap. Tip 1: I followed Brambleberry’s tip about adding copper mica to the soap, the soap seems to be more of a reddish-orange tint at this time, rather than the muddy orangy-brown I usually get with pumpkin soaps; I'll have to watch how the color changes as it cures. Tip 2: I didn’t add any fragrance to the lighter portion of the soap (to avoid it turning brown), and I added a little bit of titanium dioxide to help keep it lighter. Tip 3: I mixed the leftover pumpkin and whipping cream together, in equal amounts, and froze them into cubes for future use. To use, thaw and sub for half of the water called for, added to the oils at the same time as the lye water. Love the second one, it's so adorable!! I've made pumpkin HP once, it was very smooth. I didn't like the lather, but I'm pretty sure it was the new recipe I tried for it. How do you like the Gingersnap FO? 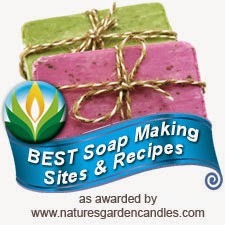 Did you add copper mica to all the soaps? I like the orange color of the soap that hasn´t any cream in it. I like that color too! I'm finding that the soap with just the pumpkin puree is staying more orangy than the soap with the pumpkin and cream mixed. I did add a bit of copper mica to them both, but I probably didn't need to, as the pumpkin gives it a nice color on its own. Nice experiment! 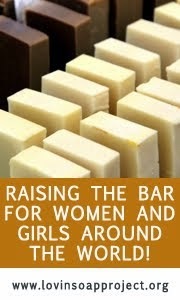 Pumpkin soap is on my 'to do 'list soaps for soon ! All of your pumpkin soaps are so pretty, Cee Gee! 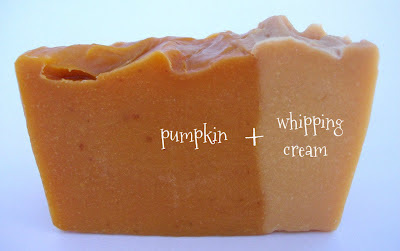 Neat idea using whipping cream in the soap, too. 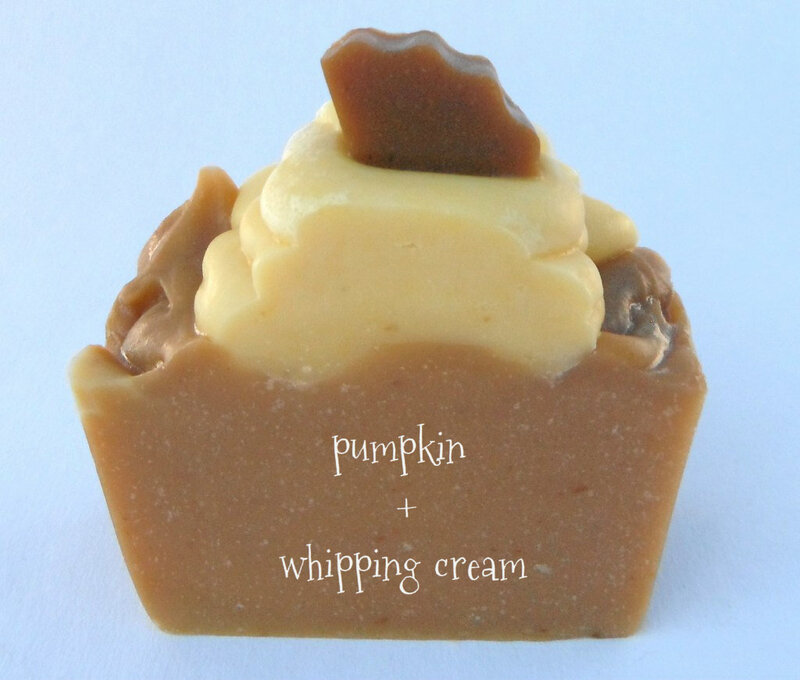 I am planning to make a pumpkin soap for autumn/Christmas gifts soon. (I'm so glad that it's almost time to think about fall and winter - I am so ready for summer to be over!) I've got a Sweet Pumpkin FO that I love, and BB's Gingersnap is a favorite, too. My mom especially loves the Gingersnap! I love how the second one looks. 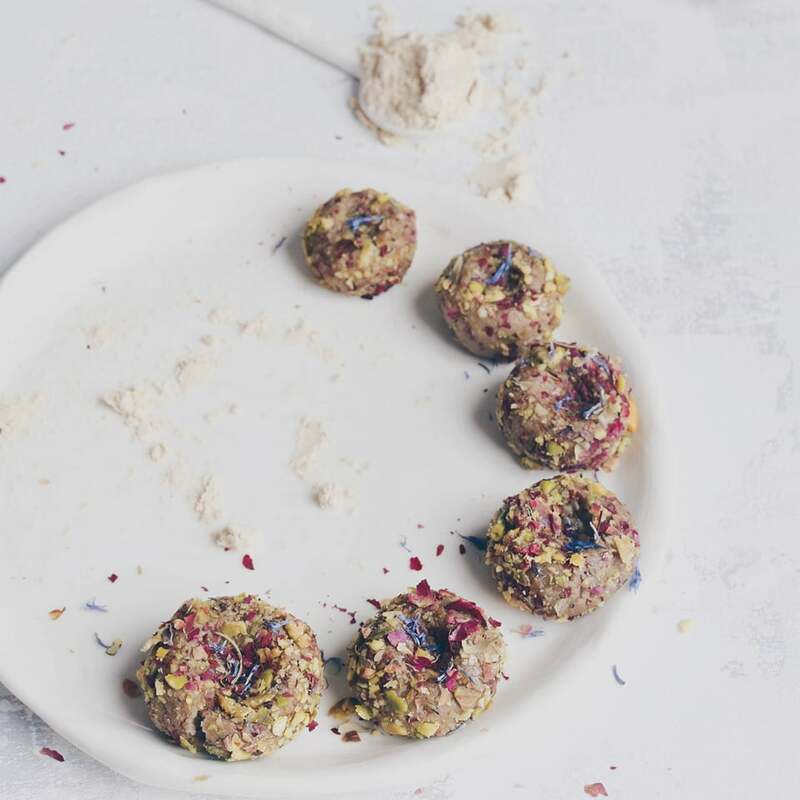 The colours are great,so foody. I've read about pumpkin, it seems to be very beneficial for the skin. How do you use whipping cream,have never heard someone uses it? I think I know what it is,you can find it here sweetened,for cakes or plain,for cooking sauces,or something else. I personally don't use it for it's high calorie value. What I'd been wondering was it's application in soap,what you explained.